Valentine's Day is just around the corner, which means your children are probably bringing home some holiday crafts they'll want to display over the next several days. But what happens when the holiday is over and you wish to preserve the crafts for the long term? Keeping crafts stored in filing cabinets or drawers may allow them to stay viable for the foreseeable future, but crafts may fade, tear or ruin over time when exposed to air or grime. To prevent your children's artwork from losing their integrity over time, preserve them with your vacuum sealer, which can completely remove air from the storage container and keep the crafts safe for the future. 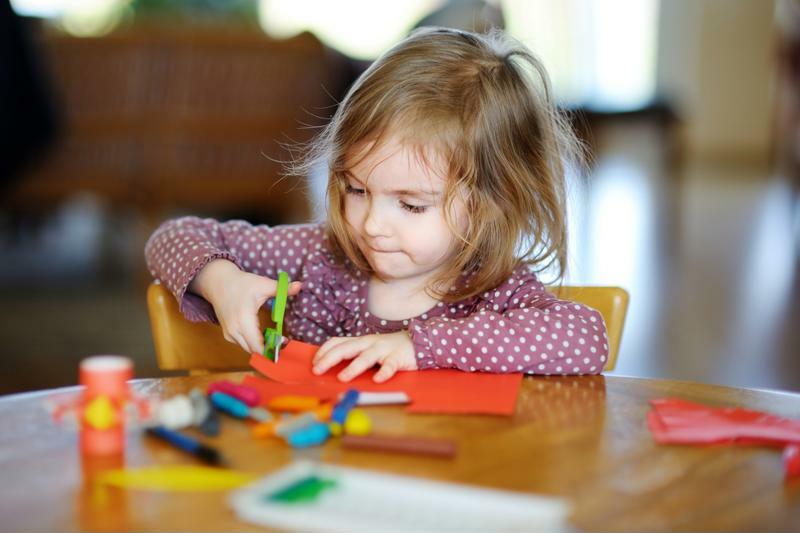 Keep your child's artwork safe for long-term storage. Depending on the type of crafts you wish to save, the process will differ based on material, fragility and size. If you want to preserve a paper-based craft, move to step 2. But if your craft is more three-dimensional or complicated, move to step 3. Drawings, paintings and other paper-based crafts are well-suited for preserving with a plastic vacuum sealer bag. Before placing the craft in a plastic bag, you'll want to protect it with coverings to ensure it doesn't lose its shape during the process. For single sheets of artwork, place them between two pieces of cardboard, which can keep colors from fading and edges from crinkling. Alternatively, for booklets or multiple sheets, place the art in a plastic sleeve with a piece of cardboard in the middle to protect its shape. "Keeping paper-based crafts surrounded by cardboard pieces preserves the shape and integrity of the art." For more unusually shaped crafts, such as those that have feathers or glued additions, a sturdier container is a better bet. Look for a container that suits the craft at hand, then gently place it in the container. Removing the air can keep air particles from impacting the integrity of the craft, but it will not prevent damage that may arise due to shifting the container. For this reason, consider storing more fragile crafts with tissue paper or materials that may help it retain its shape. After sealing your craft in the appropriate covering, keep it stored in a cool, dry place to prevent external factors - like temperature - from impacting the craft. Attics and storage rooms are ideal for this type of storage, but make sure you don't keep artwork underneath heavy or oddly shaped items.